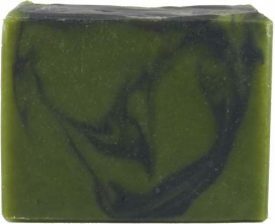 Exotic Patchouli Organic Soap is the perfect retro patchouli lovers soap! 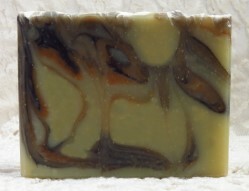 Exotic Patchouli Organic Soap is the perfect retro patchouli lovers soap! This amazing scent blend of organic sweet orange and aged patchouli smells amazing and lingers on your skin for hours after bathing. 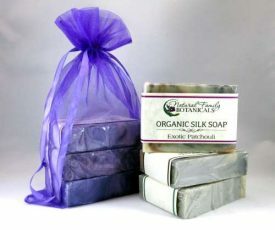 All of our organic bar soaps create a thick, creamy, silky lather thanks to the natural silk protein plus the rich combination of organic oild such as Fair-Trade organic shea butter from a women’s co-op in Ghana, and pure, delicious organic virgin olive oil…a luxurious, emollient, soap for a silky velvet bathing experience! 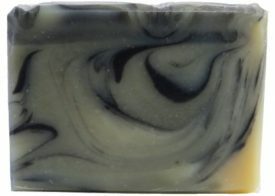 Our Exotic Patchouli Organic Soap is artistically graced with swirls of red clay and charcoal. nt wt 4.5 – 5 ounces. A favorite for many of our customers! 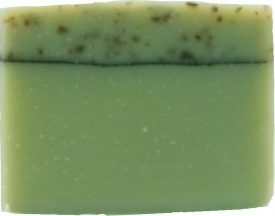 Distilled water, saponified oils of organic olive, organic coconut, organic sustainably harvested palm, organic fair-trade shea butter, organic cold pressed canola, avocado, and organic castor oil, red clay & charcoal (for color), pure essential oils, raw silk fibers. This is my favorite soap by far. The scent is just right, not overwhelming. Very pleasing to the senses! I try to keep stocked up on this and give it away as gifts too! Very good quality and lasts a lonnnng time!